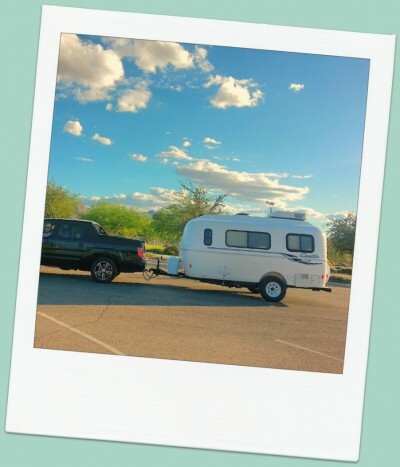 The Casita is very small compared to most other rigs out there, but we enjoy the space nevertheless. It feels cozy to us. The refrigerator in the Casita is huge! The bed is comfortable enough and we like all the windows throughout the trailer; the windows make the space feel bigger. Other features we enjoy on our trailer are the screen door and the flat screen television to watch movies. The Casita is awesome and we are very happy to have it! I cannot wait for the next adventure!